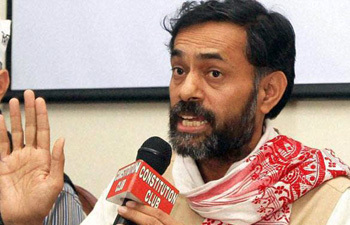 Well-known psephologist Yogendra Yadav believes that a major reason why the TV channels have failed to properly predict what would happen in the Bihar elections was a “sampling bias built in the methodology of the exit polls” which failed take into account upper caste bias. He said, “This is not due to any upper caste conspiracy (no media house wants to get its exit poll wrong) but due to a sampling bias built in the methodology of exit polls” which counted on what individuals from upper castes said more than those who belonged to the backward castes. “When you stand outside the polling booth, the voters who agree to be interviewed tend to be more from powerful social groups. Although the situation has changed a lot in the last two decades, the voters from weaker communities are less likely to speak the truth in public”, he said. “This error could be decisive in a close election like this one. All the polls are reporting that the difference between the two main rivals is around 1-2 per cent votes”, Yadav said. “They also tell us that this has been a very polarising elections where the upper castes and OBCs (but not SCs) are sharply divided. So the sampling and reporting error would work almost entirely against the Grand Alliance (with the exception of BJP's Dalit allies)”, he added. “Assuming that the error is around 2 per cent, the findings of all the polls should be adjusted to reduce NDA vote share by 2 per cent points and increase Grand Alliance by 2 per cent. This would dramatically change the balance in favour of the Grand Alliance, which would enjoy a lead of 3-5% over the NDA”, Yadav predicted. Meanwhile, well-known international news portal Huffington Post revealed ahead of the results that the CNN-IBN strangely decided to withdraw its exit poll results. Shivam Vij, in an incisive report, quoted “multiple sources in the channel” to say that the agency which carried out the exit poll, Axis APM, gave the Nitish Kumar-led Grand Alliance, at 169-183, and the BJP and its allies just about 58-70 seats. “According to a person familiar with the backroom conversations, the channel asked Axis APM to explain how they were forecasting very high seats particularly for the Congress, 26-30 of the 41 they are contesting, and demanded some other explanations, too”, the portal reported. Of five exit polls broadcast on November 5, two predicted a clear majority for the Grand Alliance, but only by a few seats. Given 122 seats as the majority mark, ABP News-Nielsen predicted 130 seats for the Grand Alliance and Times Now-C Voter predicted exactly 122. Two exit polls said their data showed the result was too close to call. India Today-Cicero forecast 111-123 seats for the Grand Alliance and 113-127 for the NDA. The India TV-C Voter exit poll forecast 112-132 seats for the Grand Alliance and 101-121 seats for the NDA. One exit poll by Today’s Chanakya, broadcast on the News 24 channel, predicted the NDA would get 155 seats, and the Grand Alliance 83.